This week Prince Harry has very openly spoken to the British press about his own personal battle with mental health after the death of his Mother, Princess Diana almost 20 years ago. Prince Harry said it was not until his late 20’s that he processed the grief – after 2 years of “total chaos” and coming close to a “complete breakdown”. 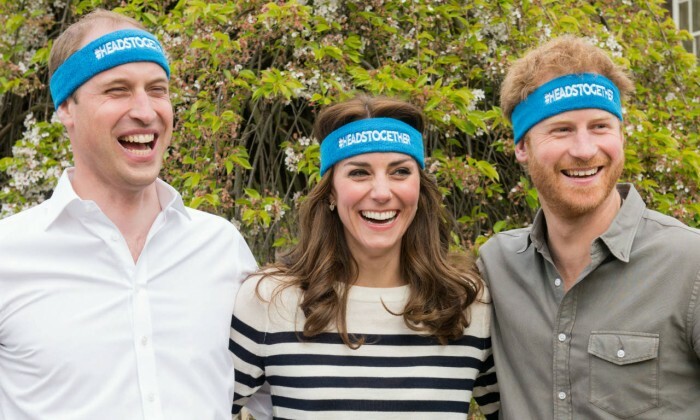 Along with his brother and sister-in-law, the Duke and Duchess of Cambridge, Prince Harry is promoting the Heads Together mental health campaign, the London Marathon’s charity of the year. Other celebrities supporting the campaign include: Freddie Flintoff, Rio Ferdinand, Ruby Wax, Stephen Fry, Mark Austin and Professor Green, who have all lent their voices to the cause and have willingly shared their personal stories on mental health with the public. I hope by sharing my own story with you and adding another voice to this vitally important discussion it will encourage others to do the same. It’s time to talk honestly and openly about these issues and express any personal difficulties we might be experiencing in our own lives. 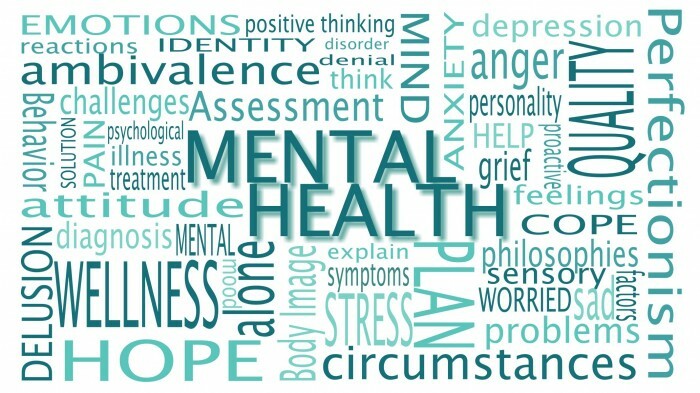 So what is ‘Mental Health’? Nearly 1/2 the nation has had a conversation about mental health in the last 3 months, which is a really positive start. However, this figure needs to be significantly higher. According to the Daily Mail just 37% of Men are likely to talk about their mental health issues, compared to 54% of women. Ideally both of these percentages need to rise significantly if we’re going to successfully combat this rising problem. My name is Michael Absalom, I’m 37 years old and I’ve just come to the end of nine months of weekly therapy sessions. Last year I decided to invest in my mental health by visiting a ‘ Psychoanalytic Psychotherapist’. My key goal was to get a better understanding of ‘self’ and also to get some answers to some pretty tough questions I was struggling to answer. Issues with my career. Issues with my relationships. Deep rooted issues I wanted to get to the bottom of, in order to make the necessary changes and improve my own happiness. I was bored of repeatedly hitting the same issues in life again and again and again, and I wanted to do something pro-active about it. Over the years I have sabotaged countless relationships, work opportunities and friendships simply because I was poorly equipped in a variety of stressful environments and was unable to regulate my emotions . Anxious, angry, sad, lonely, frustrated, obsessive, trapped, with low self-esteem and like I had no voice to express how I was truly feeling in that moment. All my emotions felt like they’d been chucked into a blender and then churned up into mush, to the point where I was unable to identify one emotion from another. A very overwhelming feeling indeed. A dormant volcano of emotion, ready to explode at any moment. I’ve done pretty well to hide these “eruptions” from people over the years, but those of you that know me well enough will have no doubt experienced one of my text book Michael Absalom tantrums, strops, or hissy-fits. These incidents would more often than not be triggered by a stressful environment or a scenario playing out in my head, which I felt powerless to influence or control. When it happens it’s an incredibly shameful experience and one which is tough to manage. Before, during and after. On those occasions when I would try and voice my opinions/concerns I would normally end up being misunderstood or not taken seriously, sending me into an even more traumatised state, from where it was almost impossible to make any rational decisions. I’ve tried my hardest over the years to minimalise these “outbursts”, normally by walking away from any risky and stressful environments or by using some other form of avoidance. Definitely an unhealthy life choice! Having recognised this wasn’t going to get rid of the problem I set off on ‘an emotional journey’ in pursuit of some answers. Keeping it all locked up certainly wasn’t doing me any favours! Definitely give these a go if you’re feeling stressed! What I’ve discovered in therapy this year is that I’ve actually been trying to manage a form of post traumatic stress disorder, which stems from a relatively traumatic childhood. It’s important to get to the root of any problem and you can trace most issues back to your childhood. So if you’re willing to be open and honest about this part of your life then you will come to understand yourself a lot better and hopefully find the answers that you’re looking for. 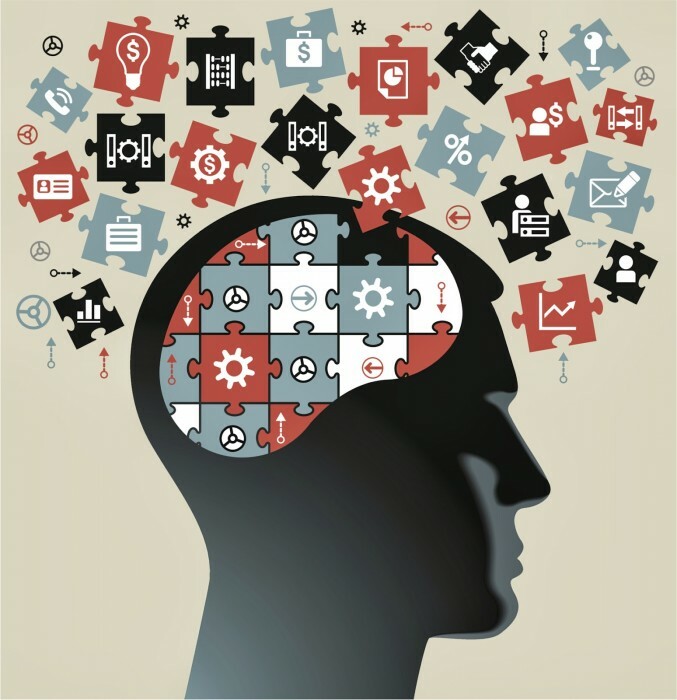 It’s a bit like ‘a jigsaw puzzle of the mind’ and all you have to do is start to piece it all together, which should in turn help you to figure it all out. Our childhood is naturally where our behavioural and emotional journey begins and it’s also where early patterns start to take shape as well. So during my therapy sessions we paid particular attention to this time of my life and looked into the home environment. A majority of the answers I was looking for were found here. 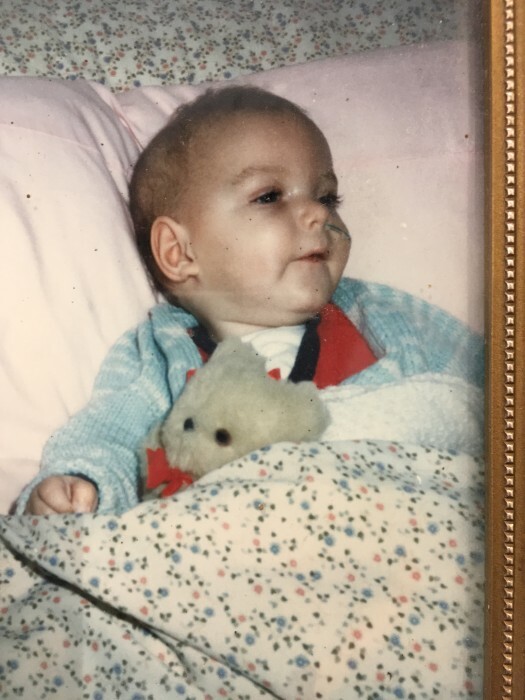 1980: I was born on the 13th April, 1980 in Falkirk, Scotland. 1985: When I was 5 years old my elder sister Lisa died. She was only 6. 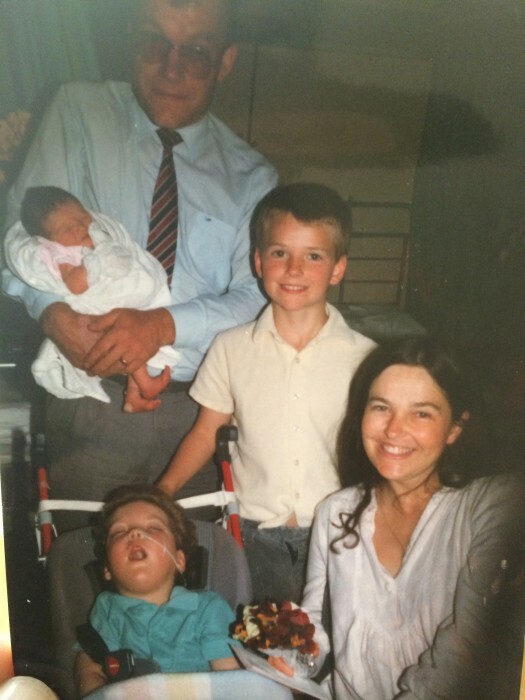 Lisa was born with a life limiting illness called ‘neuroaxonal dystrophy’, a steady crushing of the brain. She couldn’t walk, she couldn’t talk, and she couldn’t see. She wore a nappy her whole life and every time she coughed a suction machine was required to clear her throat. 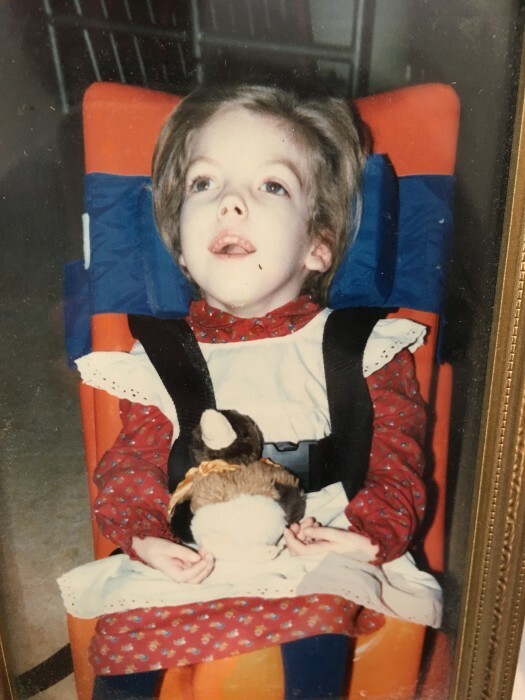 The only way of feeding her was through a tube, which went up her nose, down her throat and into her stomach and she required 24 hour nursing care. At 5 years old I didn’t understand what any of that meant. 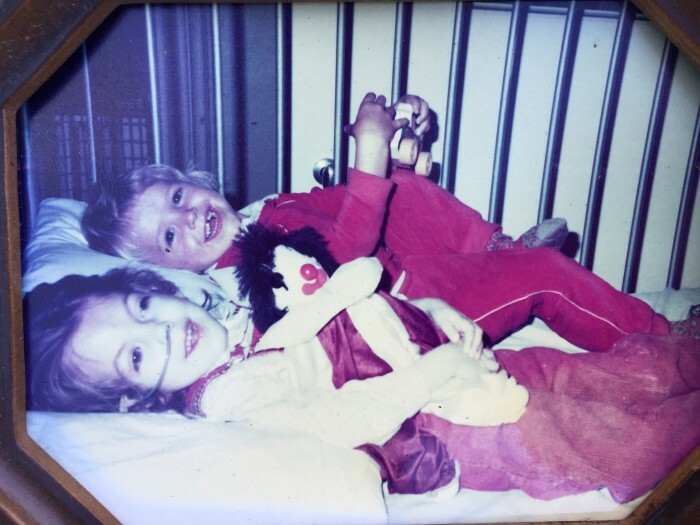 All I knew was that she was my sister and I loved her very much. 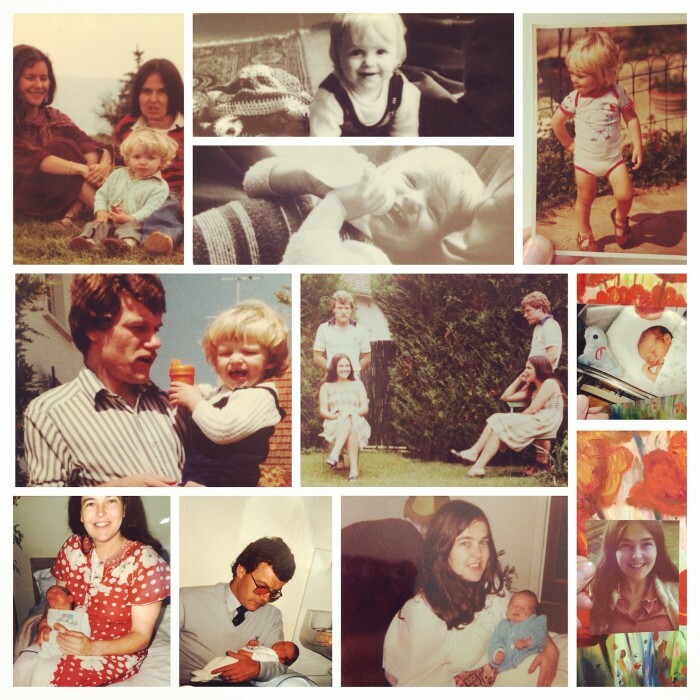 1986: A few months after Lisa’s death my Mum gave birth to my younger brother, Joseph. Sadly, he too was diagnosed with the same ‘one in a million’ life limiting illness as my sister. Can you imagine the grief my parents must have been going through at this time? I wonder who was there to support them in their time of need? How much support were they given by their family and friends? 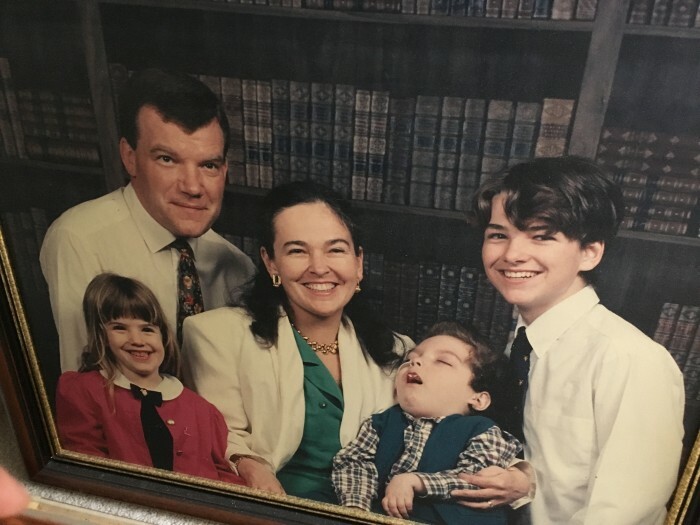 How well did the health care system support families like this back in the 80’s? 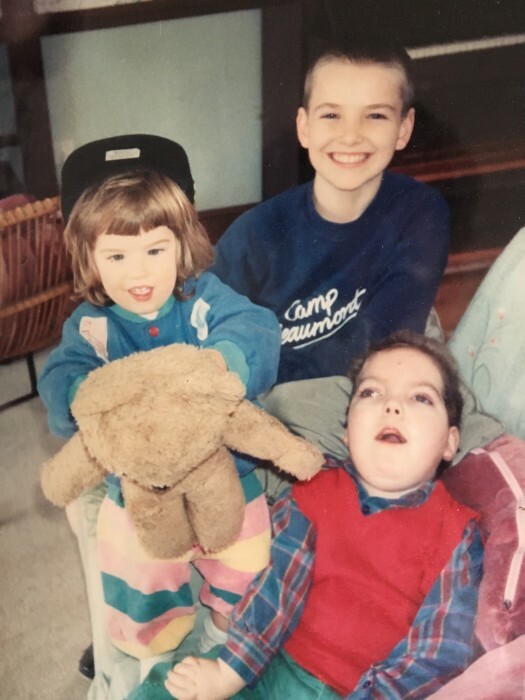 Lisa had been cared for at a children’s hospice in Edinburgh, but when Joseph was born my parents made the decision to take care of him at home. 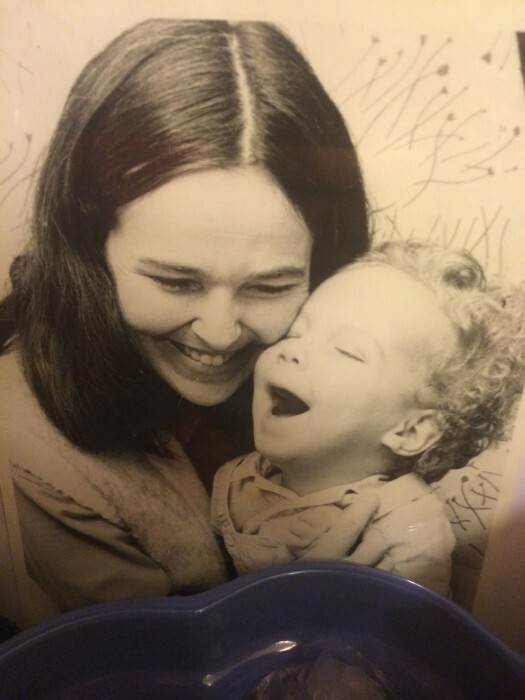 24 hour nursing care – a thought that still sends shudders down my spine. 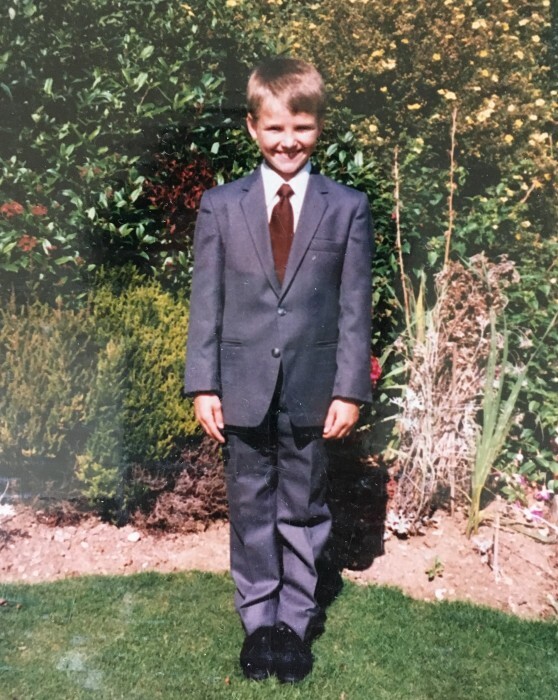 So, by the time I was 6 years old I was familiar with the fundamentals of ‘life and death’, the significance of ‘making the most out of my life’ and the meaning of the word ‘responsibility’. A word which would grow in stature during my childhood and would eventually become a major catalyst for some of my own mental health issues during my adult life. What was home life like then? 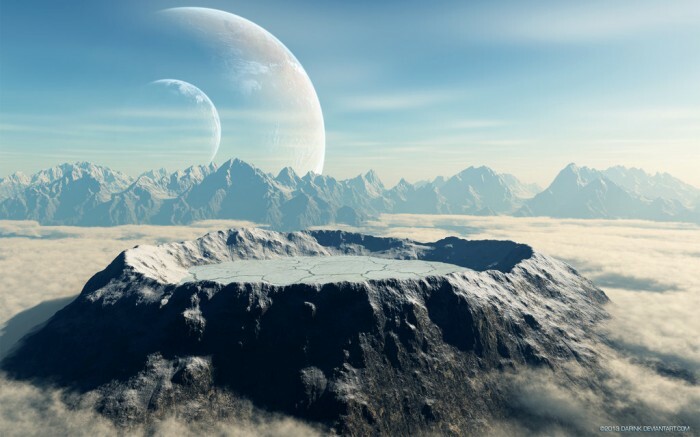 Well it wasn’t the easiest of environments to grow up in. I can say that now. This was not your typical childhood home. A beautiful home – yes, but it felt more like a mix between a hospital and a prison at times. 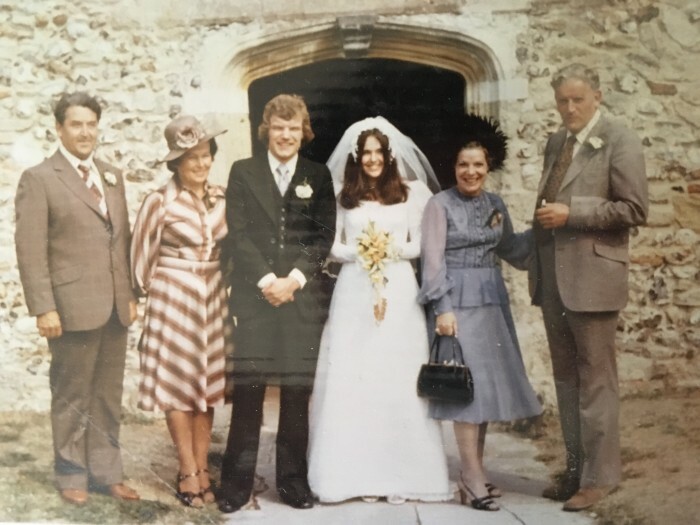 As a family we adapted and learnt to operate in a slick, efficient manner to keep my brother alive, prescribing food and medication when it was required. Military style precision and timing was essential. Every day could have been Joseph’s last, and I was fully aware of that growing up. Every time I said good-bye to him or goodnight I would say it as if it was the last time I would ever see him (which of course it might have been). I would cuddle him tightly, drown him in kisses and tell him just how much I loved him. I would do this every time I left his side. Here’s another catalyst for some future abandonment issues I would come to experience in my life. 1988: Michael starts Boarding School. An opportunity to escape “The Hospital Life” at home. This was an lifeline offered to me by my parents, who worked incredibly hard to create this opportunity for me, but it came at a price. I was only 8 years old when I left home for the first time and I missed my Mum, Dad and Joseph like crazy. “Homesick” doesn’t even begin to do it justice. I relished any chance I got to see my parents and fortunately mid-week sports fixtures provided that opportunity for me. My parents loyally attended every game. I also treasured my exeat weekends home to see my family, although these never seemed to last long enough and I dreaded having to go back to boarding school early Monday morning. Don’t be fooled by my smile! 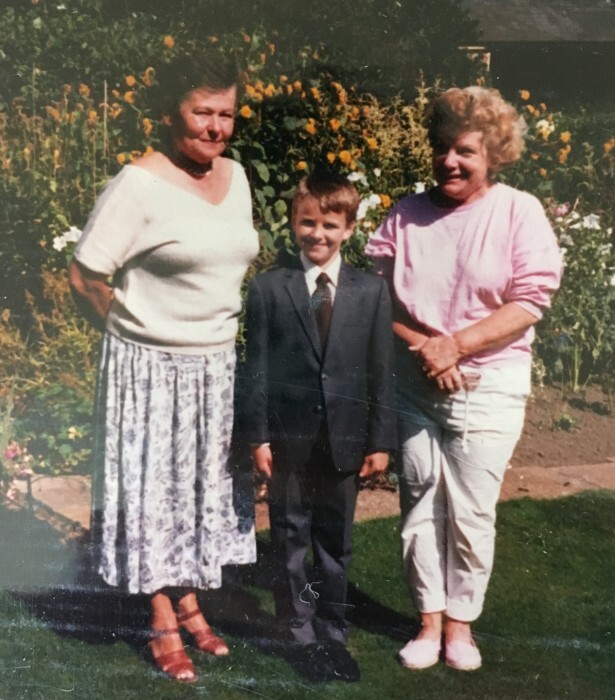 Here I am with my 2 Grandma’s (Irena and Thelma) who also helped us look after Joseph. Even from a young age I instinctively knew I would be better off at boarding school. Unfortunately though, a seed of doubt had now been planted in my brain. Was I not good enough? Did my parents not want me? Did they not love me? Why had they abandoned me? As I grew up, so did this ‘gremlin’ in my mind! Leaving me feeling undervalued, under appreciated and that no matter how hard I tried I still wasn’t good enough. We’ve all experienced that feeling of self doubt at some point, but annoyingly my ‘gremlin’ was also being fed and cultivated every time I went home too. I knew the pecking order and I accepted everything had to revolve around my brothers 24 hour health care. Unfortunately, this was another major catalyst for further abandonment and self esteem issues later on in my life. Amongst all this tragedy and trauma though I was always encouraged to keep my chin up and to keep smiling and be happy, so thats exactly what I did, even if I was sad, even if I was angry, even if I was sick as a parrot! I just kept my chin up and kept smiling. I learnt to mask my true emotions and buried them deep inside for many years to come. Not healthy. I eventually got into the swing of things at boarding school and can safely say some of my best childhood memories come from this period in my life and many of my core friendships were formed here too. I’m eternally grateful to my parents for giving me that opportunity. On reflection, all I lacked at this age was knowledge. I wasn’t given the emotional tools to handle a very complex situation. I simple didn’t know how to cope. At boarding school I chose to shut myself off emotionally, to help numb the homesickness. All this was, was a coping mechanism to help me combat pain/sadness/loss. I stopped calling home. I isolated myself and I just got on with it. Still to this day I’m not a big fan of telephone calls, but I’m working on it! School versus Home – What a contrast! Term time was spent at school hanging out with my mates, playing sport, even working occasionally!! 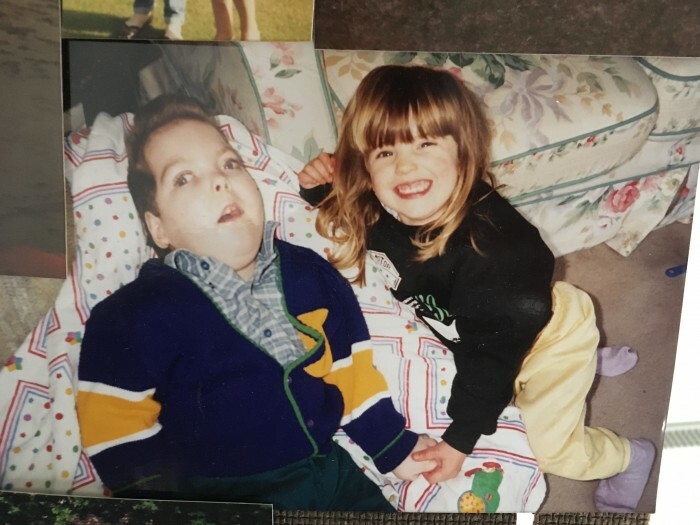 In contrast the holidays were anything but a holiday with activities often restricted to the home environment, where the main responsibility was to care for my terminally ill brother. Now despite this rather grey picture I’m painting of ‘home life’, at the time I actually relished ‘the challenge’ and would perform my duties to the best of my ability and with the highest level of enthusiasm. I was aware this was a team effort and that I was required to play my part too. That’s not to say I feel the same enthusiasm for the role now. At multiple times during my adult life I have unwittingly taken on the role and responsibility of “a carer”, looking out for those around me, but often putting myself under extreme, unnecessary pressure. Now this behaviour is based on an old life model, one which I learnt when I was caring for my brother. Think of it as an auto-pilot or default setting. I would get myself into these uncomfortable, high pressure situations at work and in relationships. Why? Because it felt familiar. In fact, all this was really doing was making me feel more stressed, re-traumatising me, leaving me feeling trapped and like there was no way out. Yet I kept accepting this role, much to my own frustration. “Not again. I can’t go through all of this again”. I suddenly had the ability to wreck every aspect of my life, relationships, work and friendships too. If the thought of something became too daunting or emotionally overwhelming then I would rather be on my own. Why did I keep on making the same mistakes then, time after time after time? Simple. I didn’t have the answers. I wasn’t well enough equipped emotionally. I was simply falling back on the only tools I had at my disposal (mainly limited, childish reactions and responses). Thankfully though therapy has enabled me to stock up my tool shed! And that’s what this whole thing is really all about. Becoming a better version of myself. As a child I felt like I had a purpose and that I had an important role to play within the family. I knew this revolved heavily around keeping my brother alive and I accepted that. Life and Death. Only 2 options. This was the pattern being etched into my impressionable young mind and my behaviour. I did whatever was asked of me, and as a family we mucked in together to make it work. I have always acknowledged the tremendous sacrifices my parents had to make during this very turbulent time in their lives. Only now though after therapy can I also recognise that I too sacrificed a significant amount of my childhood, to help this dysfunctional family function. As I got older I shouldered more and more of the responsibility. At times it felt very unfair. None of my other friends were having to deal with this during their Summer holidays. So I have a massive issue with what is fair/unfair in life. It’s definitely another trigger for some of my own mental health issues and an area of my life that still plays out badly today when I feel hard done by. Another area I struggle with still is feeling trapped within the home environment, feeling like there is no way out. A prisoner in my own home still. It can be a struggle to get out of the house, particularly being self employed, but again I’m working on it. There’s obviously not a lot I can do to change the past, but I can certainly take control of the present, which in turn will impact the future. So when those unwanted feelings re-surface in my life I now do my best to process them and try to understand why I’m feeling a certain way, then take the best course of action. Therapy has given me the awareness and confidence to do this. Now onto the final chapter of my story. 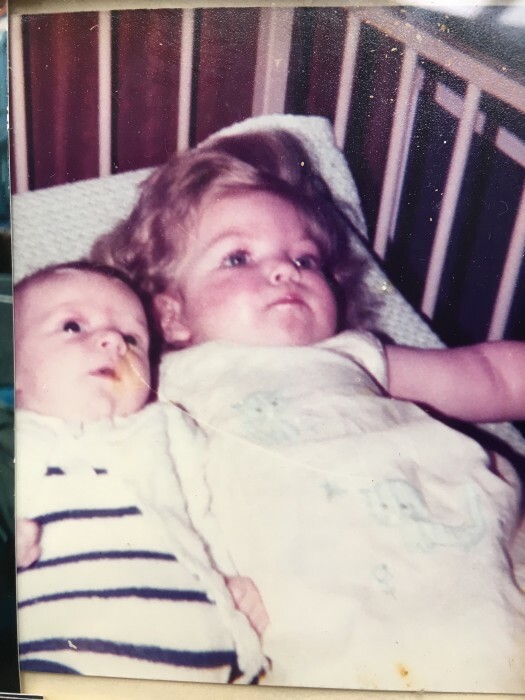 1987: My parents kept trying for another baby but sadly lost their 4th child as well. Her name was Mary. My understanding is the hospital were conducting a routine test to see if she had the same life limiting illness as my brother & sister, something went wrong when they were taking a skin sample from the embryo and Mary died in the womb. The tests showed she would have been born fit and healthy had there not been a complication. Again, I find myself wondering what level of support was given to my parents at this time? Have either of them ever spoken to a professional therapist about any of this? If not, why not? How an earth did they cope? Did they get a chance to express their true emotions? Or was it all swept under the carpet? 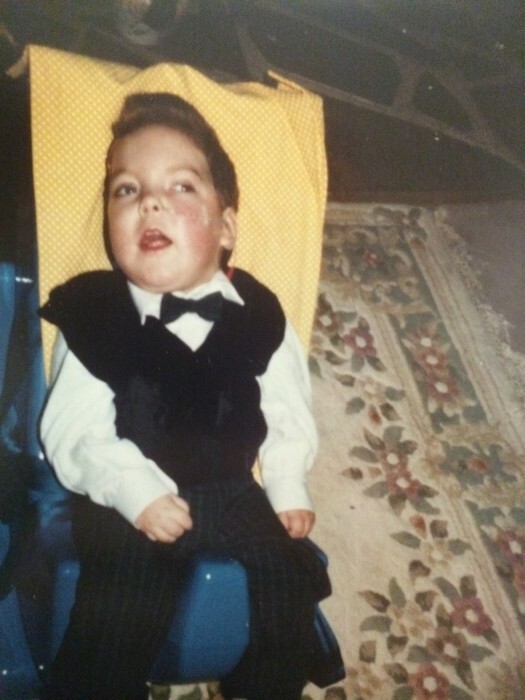 1989: My parents had their 5th and final child together. Her name was Gabriella (Ella). Finally my Parent’s got what they’d always wanted and deserved, a beautiful, healthy little girl. What a relief. 1999: 13 years in total we nursed my brother. We knew it wouldn’t be forever and Joseph eventually died peacefully in my arms at the family home when I was 19 years old. Thankfully we were all there to say goodbye to him as a family when he passed away and just like that it was all over. Our entire purpose as a family seemed to vanish into thin air, along with Joseph’s spirit. What an earth was I supposed to do now? I was never truly able to express just how sad I felt the day my brother died. I had locked ‘sad’ away along time ago at boarding school. I had just lost my best friend in the whole wide world and I couldn’t even be sad or shed a tear. I remember heading straight off to hockey training that evening and just getting on with it. These days there are some incredible charities around like The Children’s Trust and Chestnut Tree House. 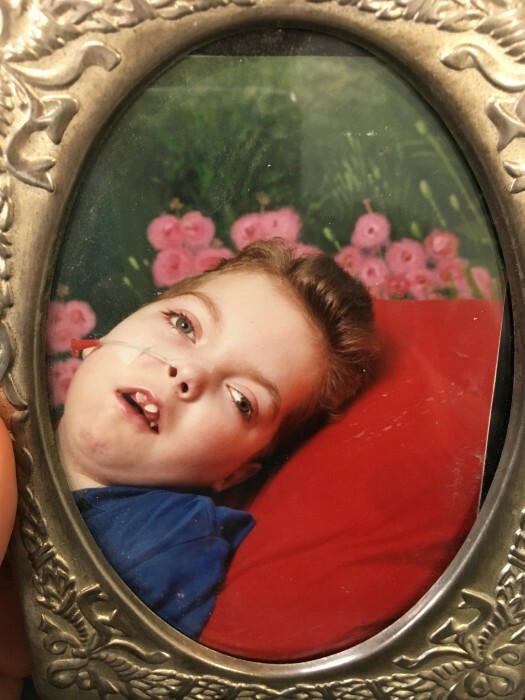 Not only do they offer respite care for families like mine whilst the terminally ill child is alive, they also offer support for the family and surviving siblings, before, during and after the death of a terminally ill child. Joseph only communicated in moans, groans, cries and smiles, he couldn’t speak. Yet we spoke for hours and hours, about anything and everything! I would ask the questions. I would also answer them too! 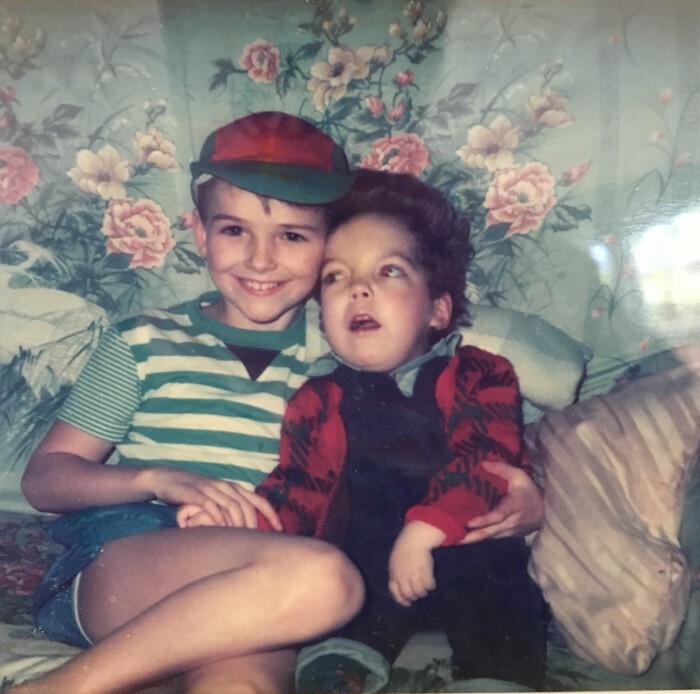 I like to think our little chats paved the way for what I do now as a Presenter/Commentator/Actor, and I believe that a majority of my creativity and imagination was born here, alongside my Brother. When Joseph died it marked the end of a very long 13 year chapter of my life. I think about all those patterns, behaviours and mindsets that I had learnt during those 13 years. Some of which have benefitted me in life, others which have hindered me and held me back. Over the last 17 years I have found it hard to adjust to “the real world”, often feeling lost and without a purpose in life, unsatisfied, unfulfilled and wanting to run away whenever things got too hard and the emotions became too unbearable. Gradually though I’m working my way through it. Piece by piece. Therapy has definitely helped me to do this. Talking about my issues has relieved a lot of the pressure, and also helped me to identify areas for improvement. So only 2 of us survived. This brings with it it’s own kind of (self-induced) pressure. I recognise the value of life and then put a ridiculous amount of pressure on myself to be successful in everything I do and when I fall short of the mark the results are catastrophic. In the past this has led to periods of low self esteem, where I’d rather just be alone until I can talk myself back around and back onto the metaphorical podium. Because that’s where I want to be, on the podium. For Mum, For Dad, For Lisa, For Joseph, For Mary, For Ella and most importantly for me. I was given an opportunity to live my life, 3 of my siblings weren’t, so I just want to make them all proud. 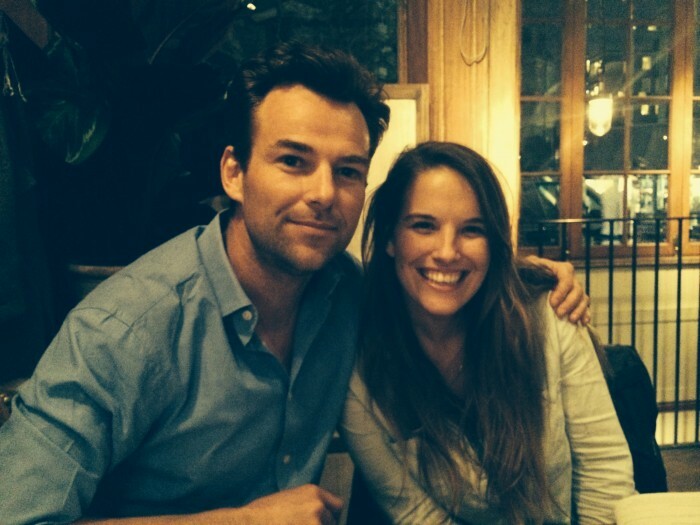 For years people have been fascinated about the age gap between Ella and I. “Wow! 9 years between you guys. That’s a lot isn’t it?” they would say. “Yes. It is, isn’t it?” I would reply, leaving out the full version of this tragic story. Until now, I’ve had serious problems talking about this time in my life, and also the side effects it’s had on me. I’ve certainly never wanted to make any excuses for my actions or behaviour over the years. Why couldn’t I talk about it then? In truth, I was terrified of what people would think of me. I was worried people would judge me. Maybe if they looked hard enough they would see right through me and the facade I had built around myself, like Fort Knox. What a fraud. Back then it just felt a lot simpler to keep it all under wraps. One big dark secret. This then became “the norm” and I didn’t want to talk about it. I rarely uttered a word about my siblings whom I loved dearly and cared for dutifully. So for a majority of my life I’ve felt like I’ve been living a lie. I haven’t opened up and allowed many people to access this part of my life. 19 years in total, almost half of my life! I didn’t want people to judge me based on my family situation at home and I certainly didn’t want anyone’s sympathy either. If I was to attach an emotion to it all now I would choose SHAME, which in turn leads to SADNESS. How well do we really know each other? What about the bits we don’t see on Facebook and Instagram? What’s really going on behind closed doors? We presume everything is okay with our friends and that our family are doing just fine. If they weren’t fine they’d surely just say something wouldn’t they? Well, No. It’s not always as straight forward as that. The hardest thing to do when suffering with any form of Mental Health issue is to talk openly about it. It’s taken me 37 years to feel fully ‘comfortable’ talking about my issues. Writing this article is actually one of the most uncomfortable experiences of my life and I am dreading posting it. My message is simple. Check in on those around you. Make sure your family and friends are okay. If they’re not okay, then listen. Life is not an easy ride and sometimes it can all get a little overwhelming. If you’re the one that’s suffering, then talking about your Mental Health issues is the first step. It’s the hardest step to take but I promise once you’ve taken it you won’t regret it. Help is out there and you can change your life for the better. 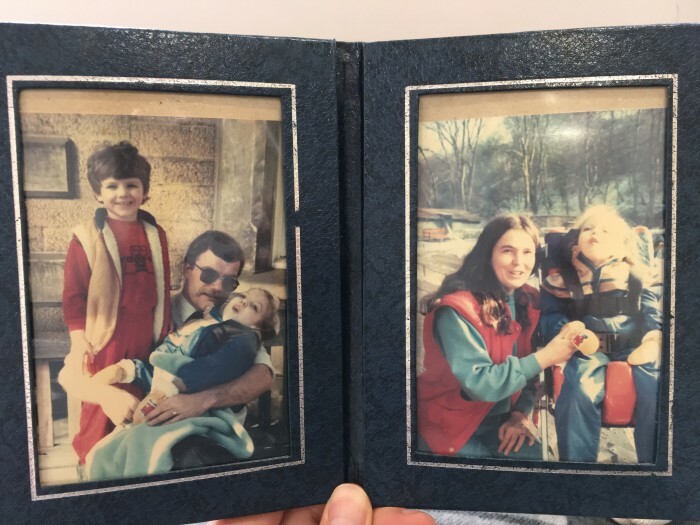 After my brother died I was able to focus on my needs and do all the things I’d ever dreamed of, like being a Ski Instructor and a TV Presenter. I had entered a new phase of my life. April 2017: Emotionally I still feel I have a lot of catching up to do. 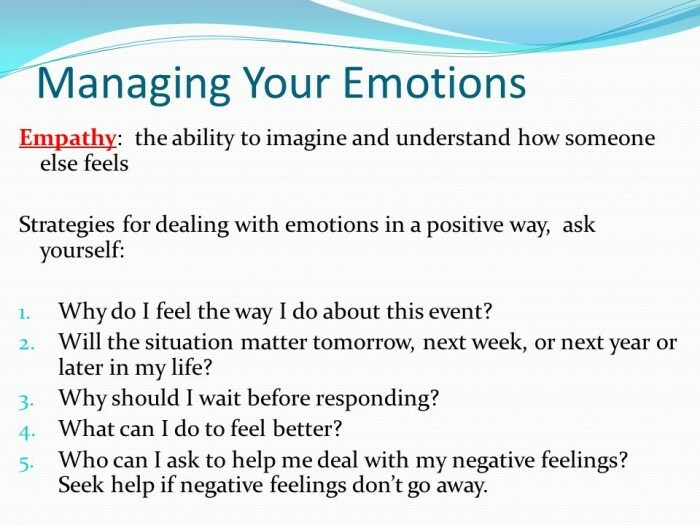 I’m desperate to keep learning and take great pride in the therapy process. I’m constantly on the lookout for new ways to develop my emotional armoury and I’m enjoying the challenge of playing “catch up”, something the 9 month therapy process has definitely helped me to come to terms with. At times during my adult life I’ve felt like a zombie, coasting and with no idea what I wanted to achieve in life or how to get it. I felt numb, often lacking purpose, bluffing my way from day to day. Having now pulled a number of pieces of the puzzle together things are slowly starting to take shape and for the first time in a long time I feel positive about what I need to do to find true happiness. In conclusion, each and every area of mental health is just as important as the other. Whether it’s anxiety, alcoholism, depression, trauma, or eating disorders. They all carry just as much importance as each other and the best thing we can do in society is to start talking about these issues, without any stigma attached. Keeping it all locked up inside isn’t the solution and it doesn’t do you any favours in the long term. So reach out and share any problems you might be experiencing in you life. Share them with a friend, share them with a family member or share them with a trained professional. They will then steer you in the right direction. Therapy was a bit like this for me. 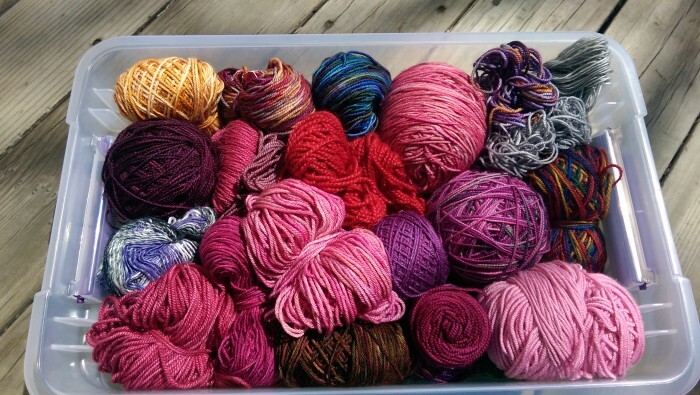 A big box of messy wool (that symbolises me by the way!) and my job was to untangle all the different colours and take out all the knots (my issues). Only once I’d taken the time to do this could I then neatly roll the wool back up and get it ready to knit myself a brand new wooly jumper! (which symbolises the best version of myself). Over the past 9 months I’ve had the opportunity to reflect on huge chunks of my life and in the process been able to answer a multitude of questions which had been bugging me for years. Why did I react like that? Why did I turn down that job? Why did I over react in that situation? Why didn’t I let anyone know how I was feeling? Why have I always felt so different? Why didn’t I ask for help? Thankfully, I now have the answers to all these questions and I leave the therapy process with my eyes wide open. I’m fully aware that the problem won’t just go away overnight or after 9 months of therapy. It now requires constant work and dedication, but the good news is it is possible to change these engrained patterns of behaviour by learning and implementing new ones. I hope by sharing my experiences of therapy and highlighting a few of the issues I’ve been dealing with over the years it will help you to find the strength you need to talk about any of the issues in your life. 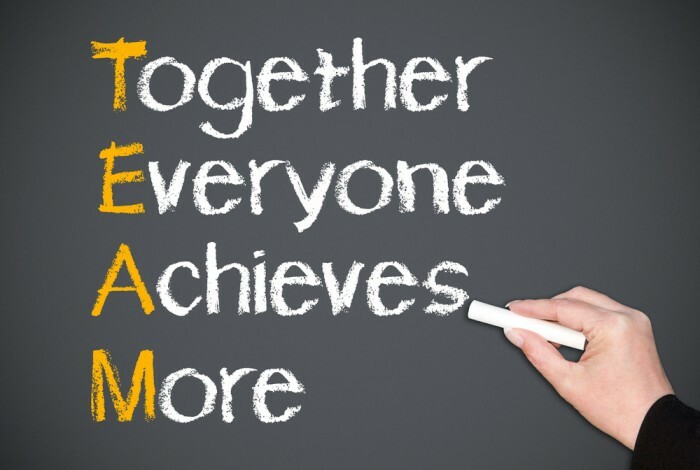 Remember you are never alone and there a plenty of qualified professionals out there who you can speak to about any issues that might be troubling you in your life. Please don’t suffer in silence and let’s continue to talk openly about these issues and continue to challenge any national stigma out there around mental health issues.